Rochester, NY (October 1, 2018) – The male victim of a deadly motorcycle accident that occurred on Lexington Avenue Friday evening, September 28, has now been identified. 28-year-old Jamie Taylor, of Rochester, died on Friday night after his motorcycle crashed with a bus on the Avenue. According to authorities, Taylor had been traveling east on Lexington Avenue on his motorcycle when he crashed into the side of a bus and suffered fatal injuries due to the impact. The bus was turning onto Colfax Street at the time of the accident. Emergency crews were immediately on the scene to assist the critically injured victim. Taylor was then transported to Strong Hospital where he sadly succumbed to his injuries a short time later. Authorities are still uncertain as to exactly why the victim struck the side of the bus and who was at fault for the crash. An investigation into the accident is currently ongoing. Above all else, we would like to offer our most heartfelt condolences and our warmest thoughts and prayers to the family members of Jamie Taylor during this tragic and unsettling time. Motorcycle accidents in New York are all-too-often fatal, and it is important for loved ones to know that they may have rights moving forward. We recognize the immense pain and devastation that arises following the loss of a loved one, and we at Hach & Rose are here for you. Investigators will likely be analyzing various factors such as right-of-way laws which may have been violated. In the event that the victim was not at fault for the accident, there may be grounds for a personal injury claim in the future. Our experienced New York accident attorneys are here to answer any questions you may have. 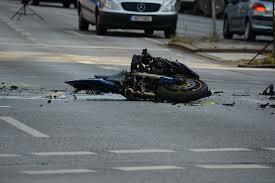 If you have lost a loved one in a New York motorcycle accident, please don’t hesitate to call 212-779-0057 today.